Think of him what you will, Miles Davis is the king of cool, and easily the most well-known and influential jazz musician ever. His career spanned over 5 decades, and his sound constantly evolved. No one can deny his immense musical vision, as he was at the forefront of hard bop and bebop, practically invented modal jazz and jazz fusion, then went on to embrace hip hop towards the end of his life. Miles is truly one of the greatest musicians ever, and continues to be highly influential to just about anyone who loves music. Miles Davis truly sounds better on vinyl. Digital just doesn't cut it with Miles. On vinyl, his horn sounds warmer, more natural and significantly less harsh. 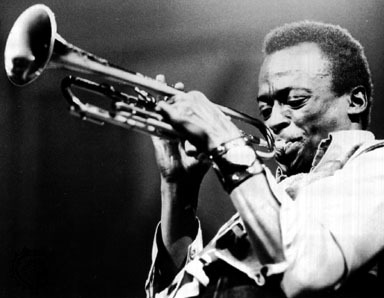 Check out these selections to hear Miles Davis the way he is meant to be heard. Miles Davis Quintet Live Newport Jazz Festival 1967 180gm Vinyl LP Record! NEW! !